At RRC, our employees are as distinct as our offerings. We want to place a SPOTLIGHT on one of our talented, diverse, and experienced staff members. 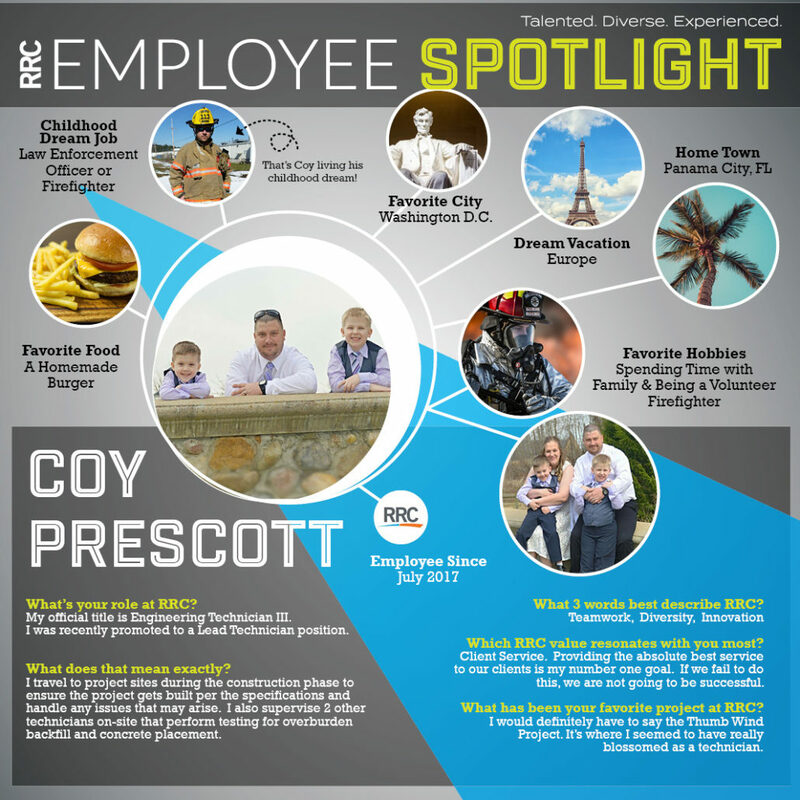 Meet Coy Prescott, Lead Technician from our CMT Group out of Round Rock, TX.